It's A Knockout FAQ (frequently asked questions); booking, deposits etc. What is "It’s A Knockout"? 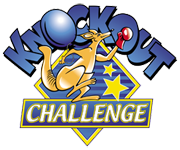 Knockout Challenge have based their games format on the television show “Interville” (Intercity) that started in the France in the 1960’s. The BBC first aired the show in 1966 with McDonald Hobley, Charlie Chester and Ted Ray. Click here to read more about the television show in all its formats. All equipment is safety checked, inflatables have ADIPS certification, electrical equipment is PAT tested. All equipment is subjected to a daily check as per H.S.E. guidance. Water supply – If you wish for “water” games, a water supply (such as hose pipe/fire brigade etc) must be laid onto within the arena. If this is not done we will substitute dry games for the wet ones. An “It’s A Knockout” from Knockout Challenge is great for town & village shows, charity days, company fun days, galas, festivals, carnivals, arena entertainment and team building events. 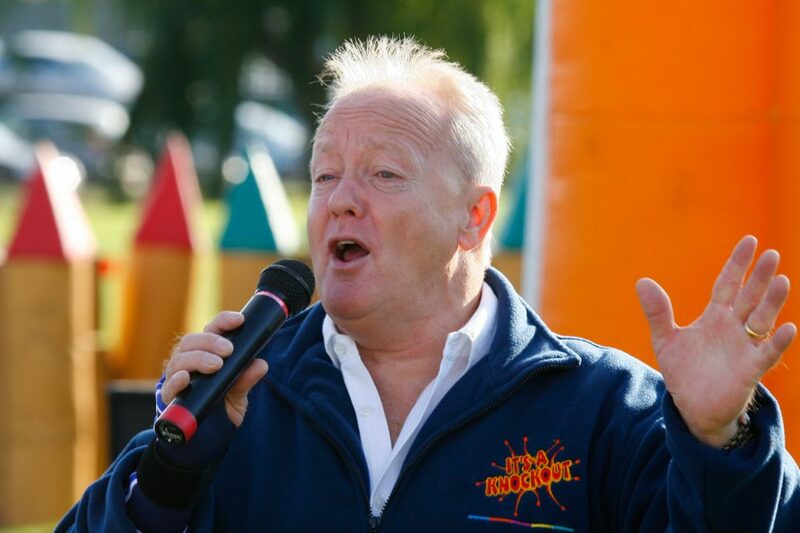 Are you the It’s A Knockout from TV? No, although we and our games have appeared on television many times and we have worked with Keith Chegwin. What is in the Client Part Of Your Website? There are two special pages hidden in our website especially for clients of our Shows. The first (for the teams taking part) has tips and ideas to gain extra points and team information sheets. The second page (for the organiser) has Risk Assessments, a copy of our PL, equipment certificates, copies of DBS’s, 1st Aid certificates, training and H&S documents. PLUS, also publicity material such as media for Twitter & Facebook, sample press releases, team recruitment fliers, sample posters, clipart, logos and high resolution images to create your own documents and much more. We are the only company to give such a vast and essential library of help like this to clients. Yes, copies can be supplied in our information pack if requested (supplied on return of a signed contract). Distance is not a problem for us, in 2018 we travelled as far north as Aberdeen and as far south as Portugal. Do you do dressing up games? Yes, each of our adult “It’s A Knockouts” has at least one dressing up game (usually sumo-style padded suits). Do you supply ‘Knockouts’ for Stag/Hen nights? We do not recommend “It’s A Knockout” for these occasions. One reason is that as taking part in such an activity requires a certain amount of exertion, there is the slight possibility that (if our safety instructions are ignored) an injury might occur, and that could spoil the big day! As many of our games use water, rain does not stop them from operating, only people’s willingness to take part in it. Whereas many attractions and forms of entertainment stop as soon as the heavens open, we are quite happy (and used to) carrying on (with maybe a few alterations to the way the games are carried out to reflect the conditions. Do you require a deposit if I book? Upon booking we will send you a contract and invoice requesting a 20% deposit (paid within 14 days). Please see our Business Terms And Conditions page for full details. Can we hold a date or show? Yes. A show can be reserved without obligation for 10 days as long as we have a contact telephone number. At this point (if no one is waiting to book the show) you can reserve it for another 10 days. However you must contact us to do this as we do not automatically reserve dates. We’re a charity, do you have special prices for charities? We are a fair-charge company and do not inflate or discount our prices according to who you are. We don’t overcharge to see if we can get away with it and then discount when we can’t. After all, fuel, staffing, transport, the costs of inflatables and overheads do not increase or decrease depending if you are a charity or blue chip company. Our prices are more than competitive for the scale of games and service we offer. If a quote is cheaper than us you have to ask “what scale of games can they possibly be supplying for this price?” However, we will discount if our costs reduce. An example could be if you choose a date for your event when we are already in your area (therefore our travelling costs are reduced). See our Discountable Dates page for details.